The fourth regiment (out of four) in the army infantry division had a banner with the dark green color of the rim. 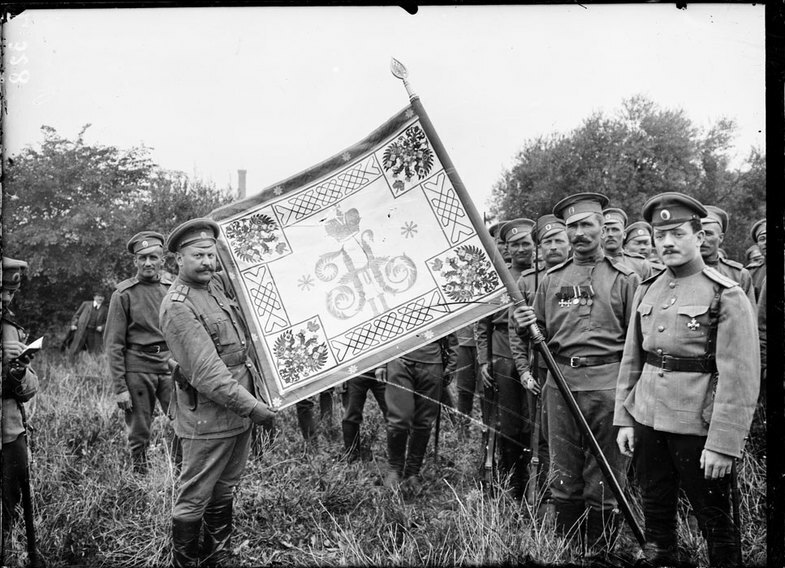 This banner might have additional decorations in the form of ribbons sewn on the flag received as collective regimental awards. 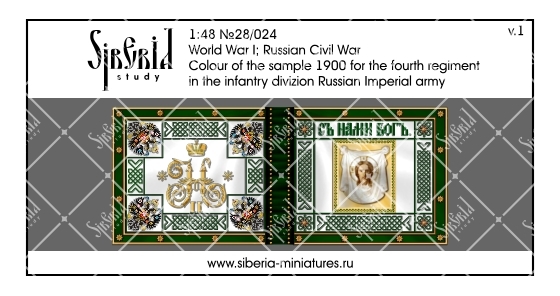 The banners of this sample used in the Russian Imperial Army, as well as in the White armies during the Civil War.